Latest Reuters/Ipsos poll shows Clinton has extended her lead over Trump to eight percentage points. 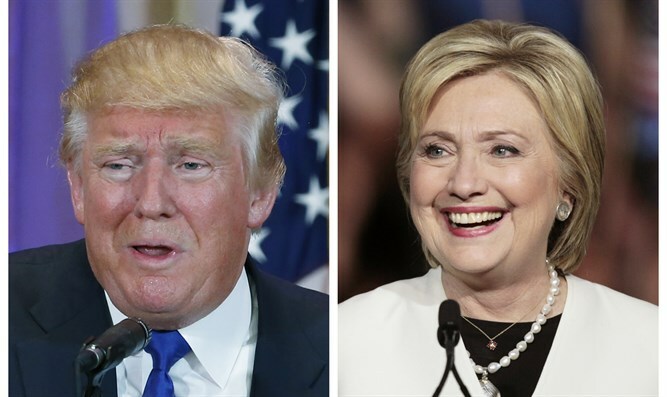 The flurry of polls in the United States continued on Tuesday, with the latest one showing that Democratic presidential nominee Hillary Clinton has extended her lead over Republican rival Donald Trump to eight percentage points. This is according to a Reuters/Ipsos poll. The bump for Clinton followed the Democratic National Convention in Philadelphia last week at which Clinton and her supporters painted an optimistic portrait of America, and came amid controversy over Trump's comments about the parents of a slain Muslim U.S. soldier. About 43 percent of likely voters favor Clinton, 35 percent favor Trump, and 9 percent picked "Other," the poll, conducted between July 28 and August 1, found. The online poll of 1,289 likely voters had a credibility interval of 3 percentage points. It comes amid a barrage of criticism against Trump after he criticized the parents of U.S. Army Captain Humayun Khan, who was killed in Iraq in 2004. The father, Khizr Khan, had harsh words for Trump at the Democratic convention where he spoke on Thursday night, saying the 70-year-old businessman and former reality TV star had "sacrificed nothing and no one" and railing against his calls to ban Muslim immigrants. Trump responded saying Khan "viciously attacked" him, and suggested the man was repeating lines fed to him by the Clinton campaign. He also made clear that he had “made lots of sacrifices”. Both rivals as well as allies of Trump have criticized him over the remarks, including Clinton herself, who accused him of “scapegoating” the parents of the soldier. He was also criticized by Republican officials, including Senator Lindsey Graham, Jeb Bush who ran against Trump in the 2016 Republican primary, and Ohio Governor John Kasich, who also competed for the Republican nomination. More criticism of the incident poured in on Tuesday, with New Jersey Governor Chris Christie, who dropped out of the Republican presidential primary race and endorsed Trump, saying the billionaire's criticisms of the Khans was "inappropriate." House Republican Richard Hanna of New York said it was "not enough to simply denounce his (Trump's) comments," and said he would support former Clinton instead. The polls showing Clinton with a lead come after Trump had a short-lived bump in the polls after the Republican National Convention in Cleveland in late July. A CNN poll on Monday found Clinton with a lead of 9% over her rival, while an earlier CBS poll found that she had a 7% lead.